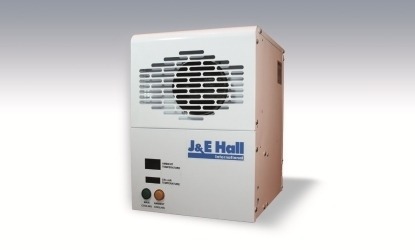 The J & E Hall ambient beer cooler uses outdoor ambient air to help keep cellars cool and save money. Most beer cellars are kept at 10°C and the UK temperature between October and April often falls below that figure. When the outdoor temperature falls to 8°C or below, the J & E Hall ambient beer cooler uses the outdoor air to cool your cellar at a fraction of the cost.